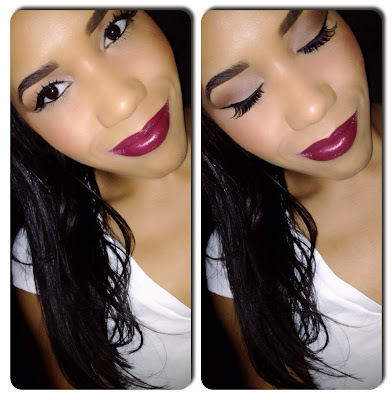 MakeUpNotDown: Finally Back to Blogging: It was Long Overdue! Finally Back to Blogging: It was Long Overdue! Last week I had a long conversation with my coworker and she said a few things that stuck with me. Our conversation made me realize that I let the happenings of life and work distract me from focusing on my long-term vision for self. These distractions have caused me to either delay, postpone, or abandon the thing that I enjoy doing most...MAKEUP! So last night I made sure to create a look and decided to share with you. Product list below...hope you guys enjoy! Are you focused on the things that matter most?